I adore my Instagram swaps. I always feel like I get the better end of the deal, though. While I put a lot of thought into my pieces, I’m always completely blown away by what I receive. The Nerds Craft It Better Swap has been packed up and sent out, but I kept adding on extras at the last minute. 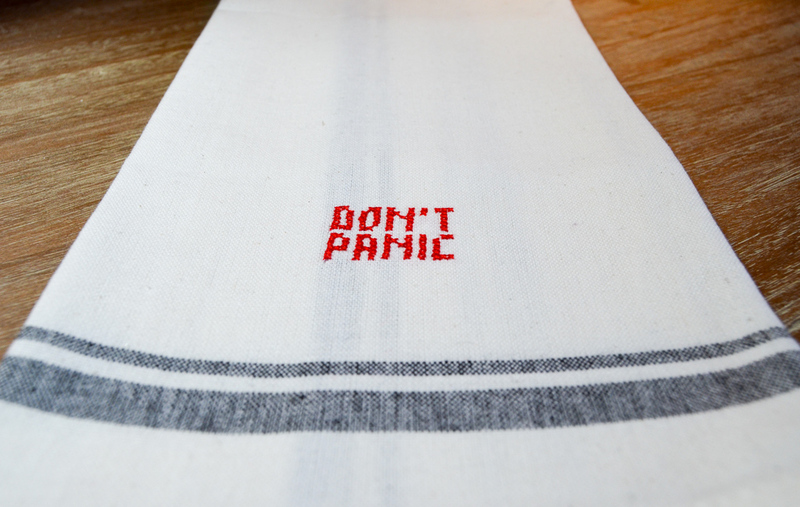 This Don’t Panic Tea Towel was the final item I made. 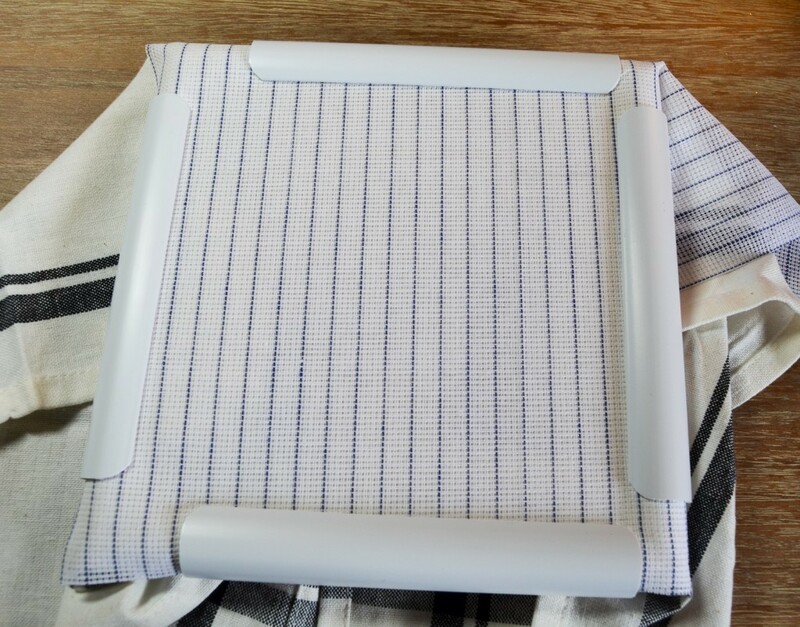 I placed the waste canvas over the portion of the tea towel I wanted to stitch and put both pieces into my q-snap. 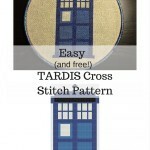 I used stitchpoint.com to generate my pattern. The font is siena. 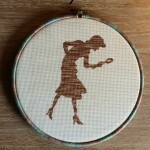 It didn’t take long to stitch up. Once I was finished stitching, I cut away the waste canvas around the stitching. 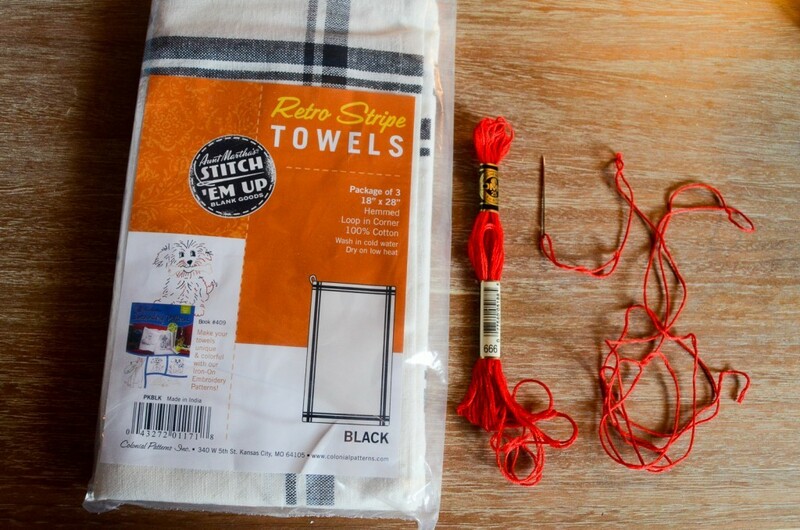 I then pulled each string out using my tweezers, leaving me with the clean stitches on the tea towel. I thought I was pretty clever with the tea towel. It’s not a terrycloth towel, but it’s still a towel. 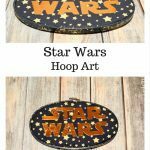 Pretty hoopy, right?! 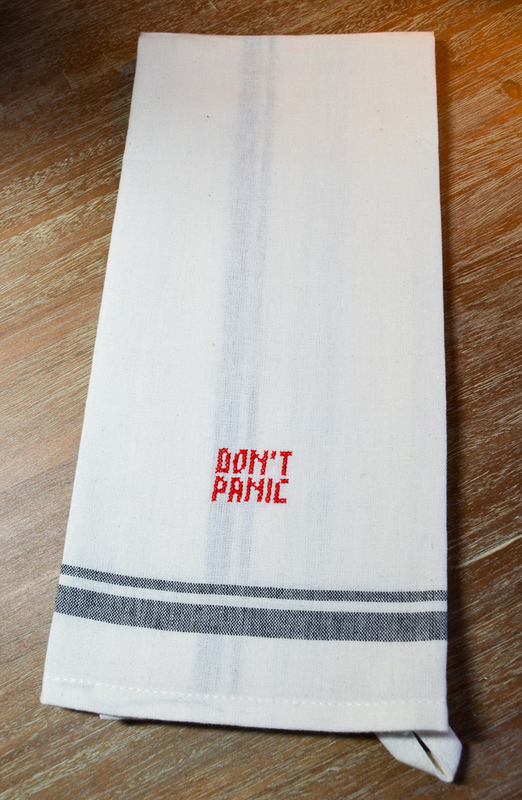 It’s simple, but I love my Don’t Panic Tea Towel. I hope my partner does, too! 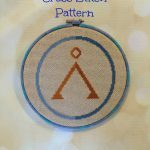 I also sent a Star Trek Cross Stitch and Stargate Cross Stitch. This is a super cute tea towel! 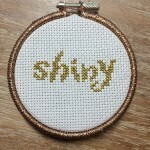 I would love for you to link it up at the Stitch It, Blog It, Share It Link Party going on now at BehindtheSeamsSewing.com. Ah I love this! Such a clever idea. 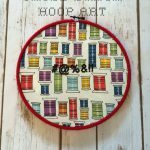 I think I have to make one for our kitchen (my husband will love them!). Haha, we all need that reminder at times in the kitchen! Thanks for joining us on Oh My Heartsie Girl Wordless Wednesday! Adorable! 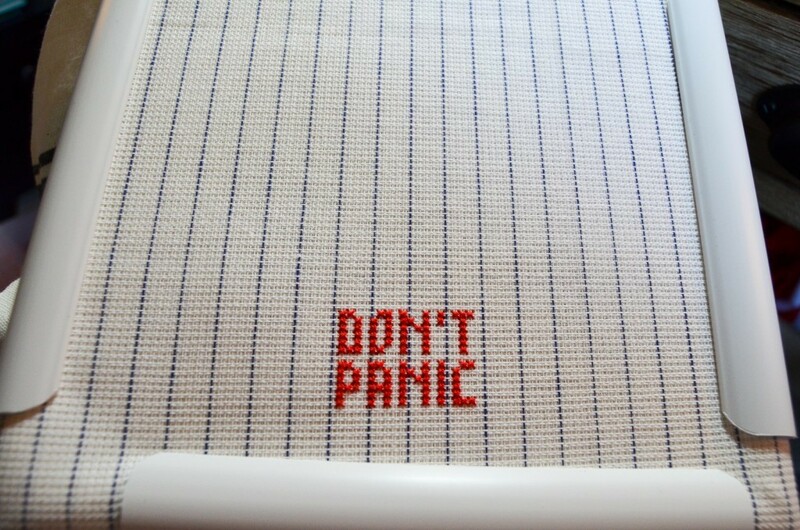 I love The Hitchhikers Guide to the Galaxy. What a thoughtful gift. Oh my gosh, I love Douglas Adams! 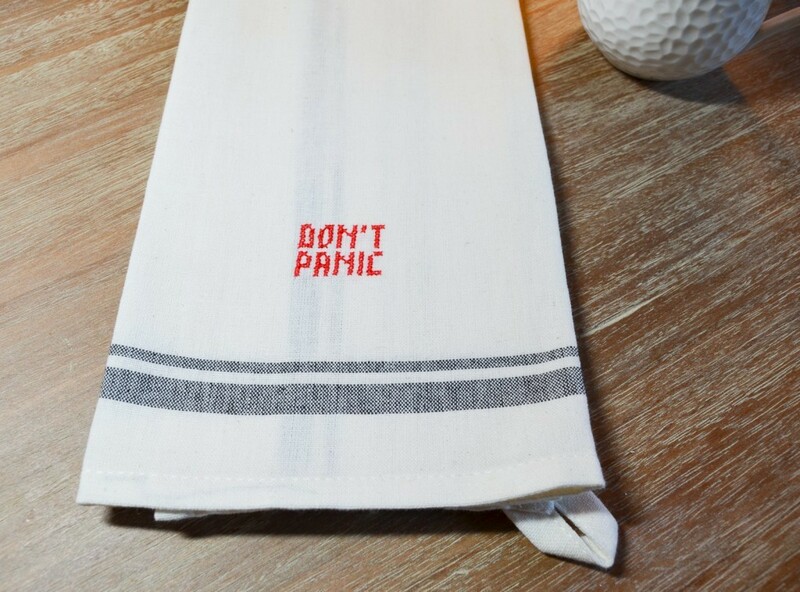 This is such a super cute and simple nod to Hitchiker’s Guide to the Galaxy! 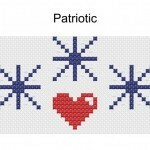 I will absolutely being making one of these. Thanks for sharing!